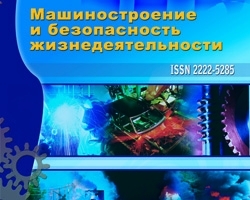 Hired sanctified to the complex decision of task on to determination of extreme and calculation tensions in any point details of misaligned screw mechanism during exploitation. The generalized mathematical model of the tense state of the attended details of misaligned screw mechanism wrap-round all known methods of fixing of multi-stage details of misaligned screw mechanism is worked out. Keywords: extreme tensions, mathematical model, misaligned screw mechanism. Lazutkina N.A., Lodigina N.D. Stress state of lead screw of misaligned screw mechanisms // Modern high technologies, 2011, №4. – P. 41-44.